Unique, bespoke or designer jewellery deserves packaging that embodies the same care, quality and workmanship that goes into crafting your special pieces. GIVE creates beautiful, sustainable hand-crafted jewellery packaging for treasured keepsakes. Our timeless designs offer luxury and elegance to compliment high-quality gifts, reflecting the value and importance of not just the jewellery within it, but also the moment in which it is given. We believe in giving back more than we take. That's why we support greening initiatives in the countries where our timbers are sourced. Give has established a global reputation for our exquisite handcrafted boxes. It is the attention to detail that makes each GIVE box truly unique. Each box is designed to have the same grain in the lid and base, and finished with a stunning natural satin wax. Ensure the quality of your jewellery piece is evident from the moment a gift is received in a GIVE box. 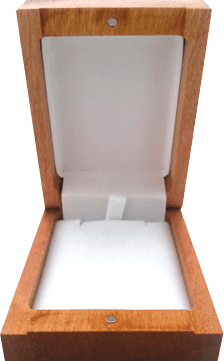 GIVE boxes are designed to showcase your jewellery and capture the attention of its recipient. They are made from a solid piece of timber, sourced from sustainable forests and harvested to ensure the balance and bio diversity of the surrounding area is maintained. 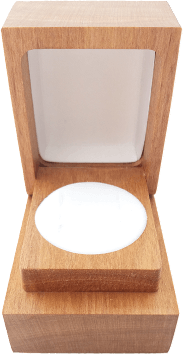 Each box is designed to have the same grain in the lid and base, and finished with a stunning natural satin wax. Inside your box, your words are printed on a satin fabric insert for an everlasting message of love, with a soft velvet pad to keep jewellery pieces safely inside. 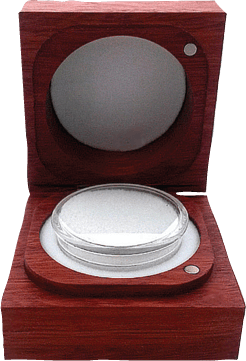 Our range of Jewellery boxes and display trays suit a variety of products. Bespoke design available on request. GIVE is a New Zealand based business, however we welcome enquiries from any location that wants to offer unique packaging made from high quality sustainable timbers. To place an order, please complete the online order form. PLEASE SEND ME THE GIVE WHOLESALE PRICING.